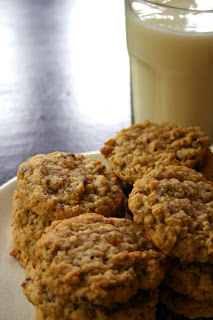 When I first started baking dairy free I had no idea where to start. I was really quite clueless about vegan products and how useful they would be in my baking now. 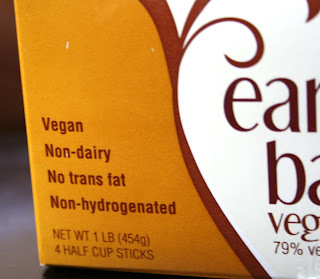 I asked a fellow blogger about dairy free butter substitutes and she recommended Earth Balance. Preheat the oven to 350 degrees. Whisk together the flours, baking soda, and salt in a bowl and set aside. Cream together the Earth Balance and sugars until light and fluffy. Beat in eggs and vanilla, scraping down the sides of bowl as needed. Add the flour mixture to the sugar mixture and beat just until combined. Next stir in the oats, raisins, sunflower seeds and coconut just until combined. Drop level 1/4-cup measures of dough onto baking sheets (I use my ice cream scoop) about 1 1/2 inches apart. Bake until they are golden brown and soft to the touch about 18 rotating the cookie sheets halfway through. Cool 5 minutes on the cookie sheets and then transfer to a wire rack to cool completely. I love Earth Balance. 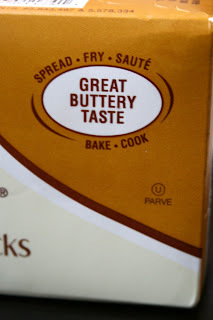 It's so easy to use and tastes delicious. 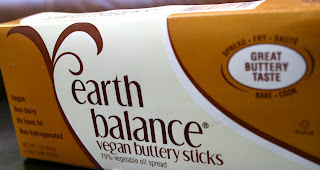 I've tried another vegan butter and was not as happy as I am with Earth Balance. 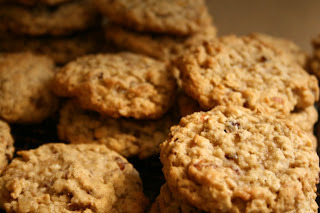 I love earth balance as well, but these cookies, i think, i'd love more. So, how does Earth Balance taste by itself? Like butta! Seriously, it is so much better for you than the real thing. I have been giving it to you in anything I bake for you and you didn't even know! You should try it out. Earth balance is awesome, and those cookies look too good ... I must bake soon!